Cyrus Todiwala OBE DL is a restaurateur, author, educationist and popular media personality. 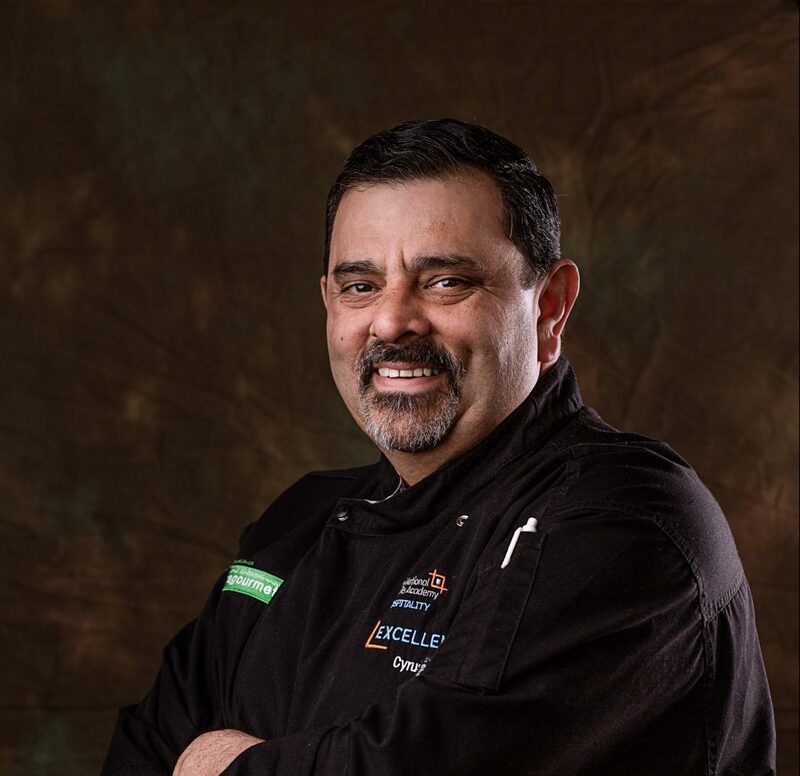 Together with Pervin Todiwala, he runs three London restaurants: Café Spice Namaste, the longest standing recipient of a Michelin BIB Gourmand award, and home of the Parsee-inspired ‘Khaadraas Club’ Dinners; Mr Todiwala’s Kitchen and Mr. Todiwala’s Kitchen in Lincoln Plaza. He also has a line of hand-made pickles and an outdoor and private catering business. A recipient of an Education & Training CATEY, the hospitality industry Oscars, he is also a Fellow of the Craft Guild of Chefs, founding member of the Guild of Entrepreneurs and Ambassador of The Clink Charity. He founded the national competition, Zest Quest Asia, to nurture Asian culinary skills among ‘homegrown’ British chefs. He cooked the first luncheon for HM The Queen’s Diamond Jubilee.